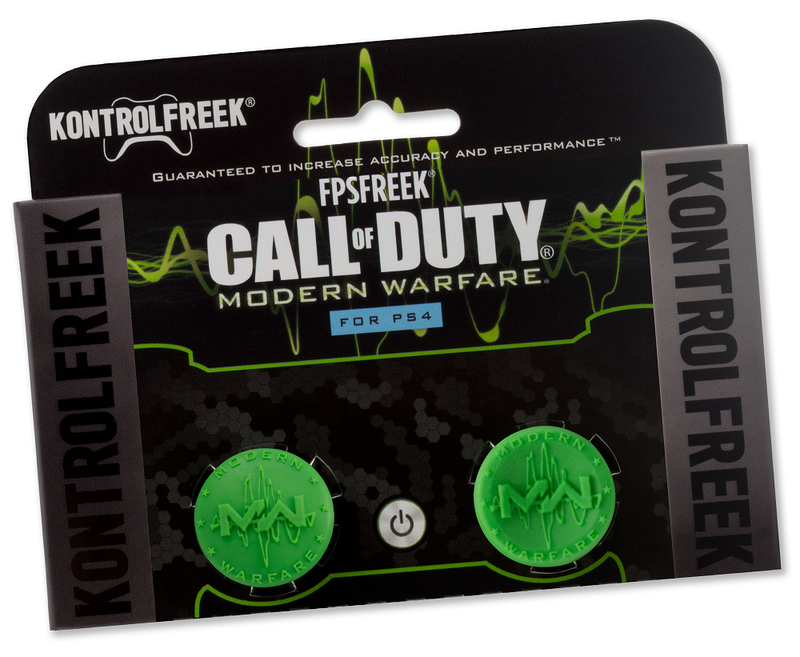 KontrolFreek Makes My Day (And Yours, Too) | "DESTROY ALL FANBOYS!" If you own any current gen game console with a wireless controller (or a PS4 or Xbox One, to be precise) or play PC games on a big screen TV while planted on the couch across the room, you very likely despise the way too short charging cables packed inside the box. 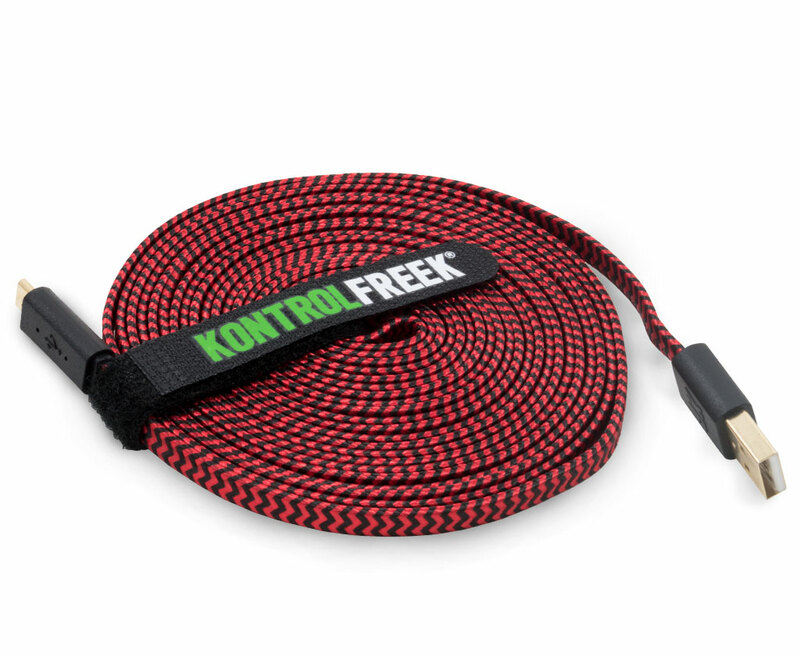 Well, KontrolFreek has you more than covered with its magnificent, essential 12 foot USB Gaming Cable ($12.99 MSRP). This inexpensively perfect no-brainer gift idea makes that charging time smarter and faster, getting you back into your gaming session while still camped out and comfy. Designed for PlayStation and Xbox controllers, PC, and micro USB-compatible mobile devices, you can plug it into your phone, tablet or anything else it supports once your game controller of choice is all juiced up. As that silly stock PS4 cable has already caused me to knock my console off its perch once, that KF cable came in really handy when it arrived this afternoon. My PS4 is sightly bruised on the lower front right but working fine, thanks. The 12FT Gaming Cable™ features high-speed data transfer (480 Mbps) to maximize response time. The gold plated contacts enhance your connection and reduce corrosion, increasing the life of your cable. The flat braid design prevents tangling and our signature KF charge indicator light lets you know your device is fully charged. Available in red and black, green and black, or white and blue color combinations, this controller charger cable is sure to compliment your unique setup. As for those thumb stick extensions, let’s talk ergonomics for a sec. 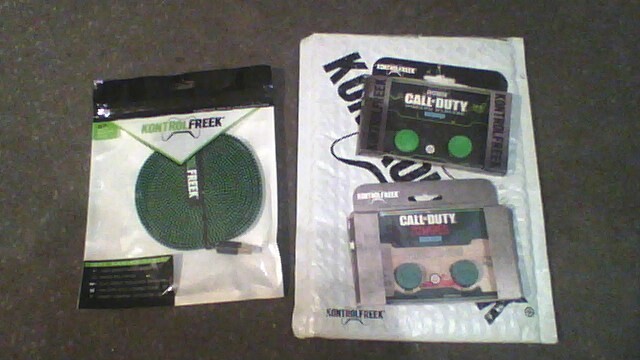 I got a set of KontrolFreek extenders a few years back for the PS3 and liked them a lot, but they got swiped by a friend who liked them more. He replaced them soon afterward, though, so we’re still on speaking terms. The extensions add height to the analog sticks so less pressure is required in any direction while playing. This not only makes pulling off actions in games faster, it also extends the lifespan of that controller because you’re not jamming the sticks as hard as you’re used to. Granted, it takes practice to get the hang of the new level of sensitivity you get. But the payoff is worth that few minutes of re-training. While they were initially available in one size, KF has listened to suggestions from many players who wanted more options and yes, now you can pick from an assortment of stick heights and styles. 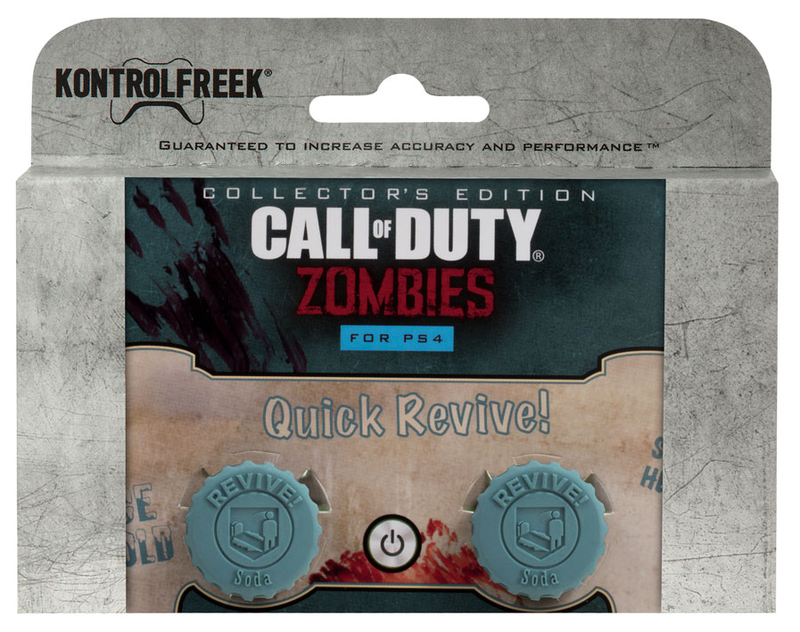 A pair each of Call of Duty Revive! ($17.99) and Modern Warfare PS4 ($17.99) also arrived with that cable and yep, both do their thing excellently. The Revives use a short extension on both sticks that also work well in third-person action games, while the MW4 extenders have a shorter concave surface on the left and a higher convex one on the right, great for shooters and surprisingly, racing games. Of course, your mileage may vary, but I say try a pair out and see if they help your own gaming style out. If they don’t, I’m betting you have a friend who’d love to swipe them. So keep that package and some gift wrap handy just so they don’t need to, I say. This entry was posted in 2016, Commentary, DAF, Features, Humor, Updates and tagged Accessories, Buy It!, Holiday Gift Guide 2016, KontrolFreek, Mobile, PC, PS4, Stuff, Tech, Xbox One by geelw. Bookmark the permalink.